It was a summer of love, and a summer of secrets. She has built the semblance of a good life: a husband who adores her, a daughter she is fiercely proud of, and a home with warmth and love at its heart. However, the truth is she has done things in her past that she can never admit. One evening, a phone call comes out of the blue. It is a voice from long ago, a man from a past she has tried so hard to hide all these years. He knows who she really is and what she has done. Now, he is dying, and he gives her an ultimatum: either she tells the truth, or he will. And so we are taken back to that long hot summer of 1976, to a house by the sea on the southern coast of England, where her story begins and where the truth will be revealed . . .
Told in dual narratives that jump back and forth in time, Elliot Wright has crafted an intriguing story with unnerving secrets that unfold through the very last page. 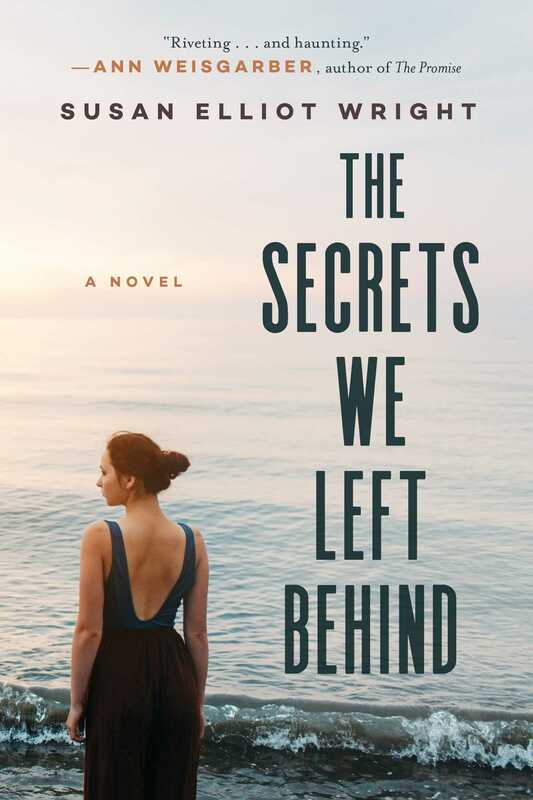 Compelling, immersive, and thoroughly surprising, The Secrets We Left Behind is a stunning follow up to the author’s acclaimed UK debut The Things We Never Said. "A riveting and vivid novel about a woman who is forced to examine her past. As the narration gracefully alternates between the contemporary and 1976, the reader is pulled deeper and deeper into the narrator’s world, the increasing sense of doom making this a book impossible to put down. Elliot Wright spins a powerful and haunting story where love and loss collide, where impulsive decisions change lives, and where redemption is hard earned." "Equal parts mystery and philosophical exploration, Wright’s second novel challenges readers with difficult questions about love and morality." "This quiet, mournful book explores the ties between mothers and children and how the past reverberates into the present. ...Readers who relish literary novels with occasional twists will be absorbed by this story." "Skillfully shows the drama of youth and how growing wiser with age is not always easy. Susan Elliot Wright is a straightforward writer that embedded twists and turns in the story to keep the reader guessing."